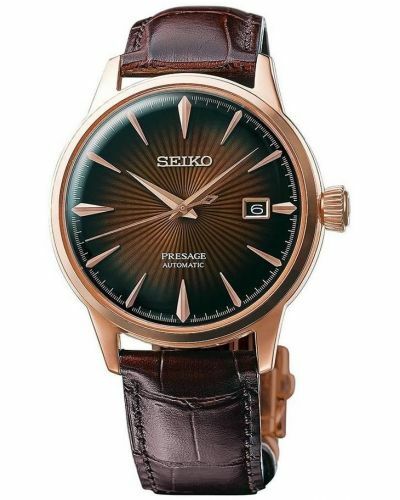 This limited edition men’s Seiko Presage Limited Edition 2018 SJE073J1 is produced in a run of 1881 pieces. 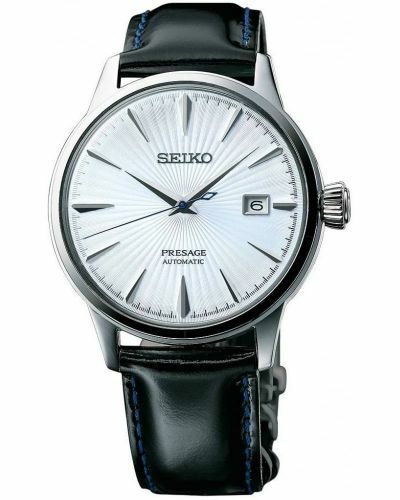 This number relates to the founding year of Seiko and is bought to you as part of their prestigious Presage line; crafted in Japan and inspired by the appeal of elegance and simplicity, this alluring watch presents with a stunning 40.7mm stainless steel case and bezel. 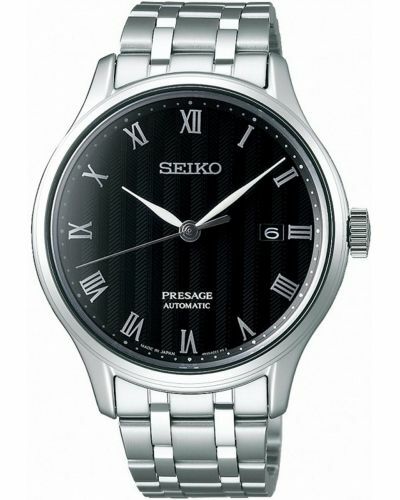 The watch case has been slimmed down to a mere 9.8mm and sits beautifully on the wrist. Housed beneath protective dual-curved sapphire glass lies the exquisite white silver textured dial with suave stainless steel hour markers. A date display window is located at the 3 O’clock position. The simplistic elegance of the dauphine hands and contrasting blue second hand add further interest to this sophisticated dial. 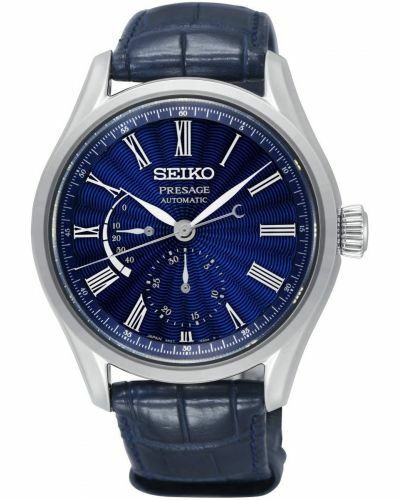 Powered by a Japanese Automatic 6L35 movement, with 26 jewels and a 45 hour power reserve; this watch remains true to the Japanese ideals and craftsmanship found in all Seiko Presage watches. 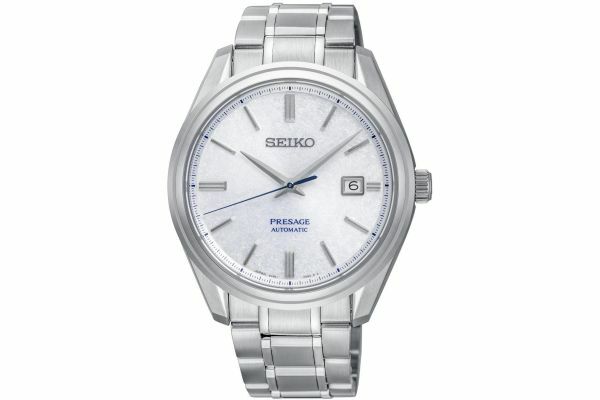 In keeping with the understated luxury of the Presage line; this watch is set upon a sophisticated tri-link stainless steel bracelet with polished detailing and a super hard protective coating, this Presage watch fastens with a secure triple deployment closure with push button release. 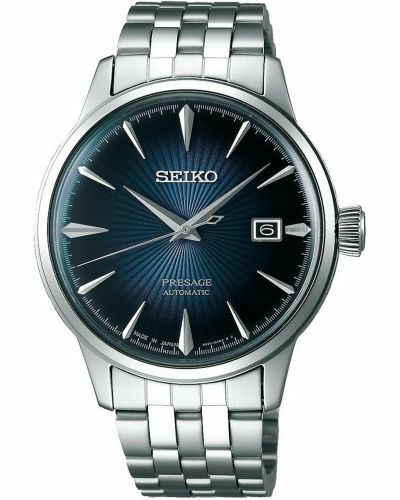 Water resistant to 100 meters; this watch can be worn whilst swimming though would be better suited for more formal attire. 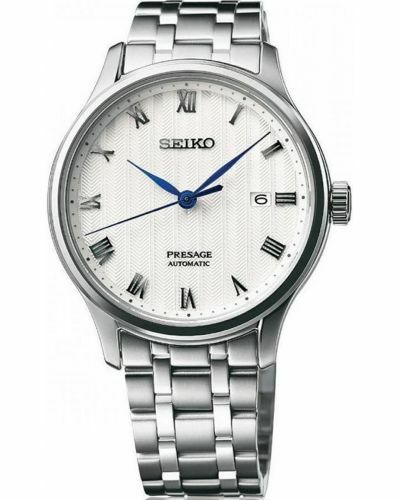 For us to size your new Seiko Presage watch as accurately as possible, please take a look at our downloadable Watch Sizing Guide.